Can Essential Oils REALLY Help Your Baby Sleep? According to those who use them, essential oils can do a LOT to improve overall health. From getting rid of headaches to speeding healing to promoting relaxation, essential oils provide a ton of health benefits. But what about sleep? Specifically, what about baby sleep? There are a number of oils that allegedly calm, relax, and promote better sleep…but can you use these oils to help your baby sleep? And, most importantly, even if you DO use them, will they actually work? Amy Pond, one of our dedicated readers, offered to weigh in on this for us. As a big fan of essential oils herself, and a mom who uses them with her whole family, Amy was happy to share her own tips and suggestions for how to use essential oils to help lengthen and improve your baby’s sleep. In a word – probably! While there’s no specific evidence that essential oils are directly responsible for improving sleep, there are studies indicating that lavender seems to relax and soothe babies, and lead to better, deeper, longer sleep. That’s not surprising, since lavender is the most well known oil for sleep problems; it is incredibly calming and has great sedative properties. Roman chamomile is another great oil known for its calming, soothing, and relaxing properties. It has a light, floral scent and is wonderful for creating a peaceful environment. First off, it is very important to make sure that your aromatherapy essential oils are pure therapeutic grade. Some store bought essential oils can have unwanted ingredients like fillers, pesticides, chemicals, fragrance and other synthetic additives, which don’t have the same healing benefits as pure oil. It’s also important to remember that less is more! Often, 1 or 2 drops is all you need. Remember to always, always use a carrier oil when using essential oils on babies and children. Carrier oils need to be used for a few reasons – they help dilute the very concentrated essential oils, they help aid in distributing the oils evenly, and they prevent the essential oils from evaporating too quickly. Good carrier oils include olive oil, almond oil, coconut oil, grapeseed oil, and jojoba oil. Dilution ratios are approximately 1-2 drops per 2 tablespoons of carrier oil for a baby, and 1-2 drops per 1/2-1 teaspoon for a toddler or preschooler. Now, when it comes to choosing oils, it’s important to note that how oils affect the nervous system will vary from person to person – so you may need to try other oils around bedtime to help your baby relax. Oils that work for your friends’ children may not work for yours. In fact, certain oils can actually have opposite effects on different people. For instance, wild orange is generally used as an energizing, pick-me-up oil for adults, but it can have the opposite effect on children, and be wonderfully calming before bed. Just before bed, and maybe right after bath, give your baby a nice massage with oil. Mix 1- 2 drops of lavender & roman chamomile with 2 tablespoons of carrier oil and rub all along the arms, legs, back, tummy, feet, and ears. The massage itself is relaxing, and the fragrance of the oils will set the tone for a calm and peaceful night. Just breathing and smelling the oils can work wonders for all of us – parents and children alike! You can put a drop of lavender on your child’s mattress, pillow, or lovey. Diffusing essential oils can actually help clean and purify the air in your child’s room, and can also be used to help with respiratory problems. Just a side note – I suggest using a cold air ultrasonic diffuser. Heating the oils can lessen their beneficial properties. Bathtime can become a relaxing time! You can put a few drops of lavender or roman chamomile in the bathwater with a liquid soap or with Epsom salt, to help it disperse throughout the water. Stick with me here – teething does impact sleep, since it’s one of the many reasons why sleep can derail! If your baby is struggling with teething pain, try 1 drop of clove oil diluted in one tablespoon of carrier oil – then, dip your finger in mixture and place directly on gums. You can rub diluted lavender oil along the jawline as well to help with teething pain. White fir and roman chamomile oil can also help alleviate teething pain, when applied directly to the gums. Blend peppermint, eucalyptus, or melalueca with a carrier oil, rub on the bottoms of your child’s feet, and then put socks on your child. Finally, rub the diluted oil on your child’s chest. This can work wonders at reducing and eliminating a persistent cough (although once again, if you suspect your child is ill, you’ll want to see a healthcare provider for evaluation – the oils are meant to alleviate the symptoms of illness, not to treat the illness itself). You can also use the diluted oil in a diffuser, so that your child gets the benefit of breathing in the aroma. 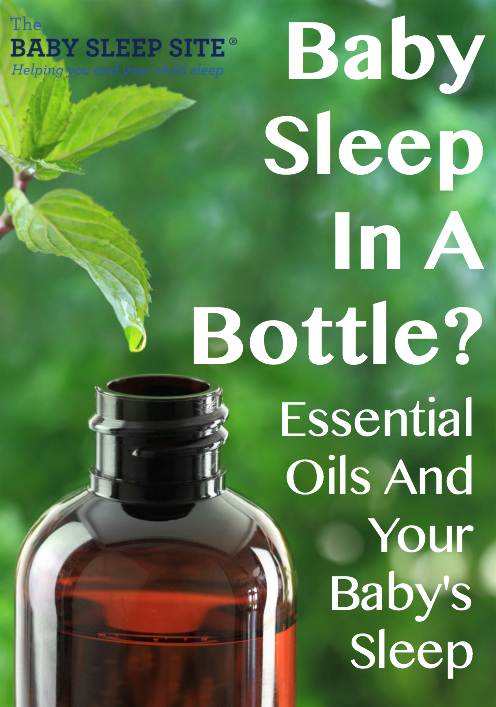 Essential Oils: Baby Sleep In A Bottle? Now, all this said – essential oils won’t make your baby sleep, if your baby has sleep problems and sleep associations. Just like magnesium and iron supplements, and melatonin supplements, won’t solve your baby sleep problems, essential oils won’t make your child sleep. Rather, think of essential oils like white noise – it can help promote better sleep, but it won’t fix your child’s sleep issues. Don’t despair, though – you CAN solve your child’s sleep issues, through the process of sleep coaching, or sleep training. When you sleep train, you gently wean your child away from any sleep associations she may have, and gradually teach her to fall asleep independently, without help from you. THIS is the key to eventually sleeping through the night; when your child can fall asleep independently at bedtime, she will eventually be able to fall back to sleep at night, when she wakes between sleep cycles, without help from you. Sleep Training Help That Works! Now, sleep training can be tough for some families. But again – don’t despair! If that process is proving daunting or difficult for you, remember – we can help! Our team of expert consultants is ready to offer you compassionate, caring support that is 100% personalized to your unique situation. We will craft a Personalized Sleep Plan™ specifically for your family, that walks you through every step of sleep training in a way that matches your goal and parenting style. Once you make your choice and purchase, you will immediately receive an e-mail with your Helpdesk login information. You’ll be able to log in and start your Sleep History right away – it’s that simple! Your turn! Have you tried essential oils as part of your child’s bedtime routine? Have they worked for you? Chime in with questions or comments! Our Members Area is packed with exclusive content and resources: e-Books, assessments, detailed case studies, expert advice, peer support, and more. It actually costs less to join than buying products separately in many cases! As a member, you’ll also enjoy a weekly chat with an expert sleep consultant. And the best part – members receive 20% off all sleep consultation services! Essential Keys to Your Newborn’s Sleep is THE newborn sleep book that will help you to not only improve your newborn’s sleep using gentle, sleep-inducing routines – it will also answer your feeding and newborn care questions. You can even buy a bundle package that includes the e-book AND a Personalized Sleep Plan™ PLUS a follow-up consultation to use for further support! Amy Pond is an entrepreneur and essential mama of 4 children. Amy has a passion for health and natural wellness.She loves to educate and empower parents with natural solutions for themselves and their families. Amy also enjoys spending time with friends and family, travel, reading, fitness and a new love of hot yoga. 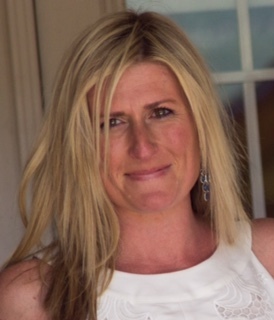 Read more about Amy, and about her passion for wellness, at https://reachingforbalance.wordpress.com. 100% natural pure essential oils and smells divine helps me nod off too! You may also find working one-on-one with a sleep consultant is extremely beneficial! We have an amazing team that can walk you through this and talk a full look at your son’s sleep history and create a plan that works with your family and you feel confident about implementing. To view the different options to work with a consultant you can read more here: https://www.babysleepsite.com/baby-toddler-sleep-consulting-services/ or feel free to contact us directly at contact@babysleepsite.com and we can help recommend the best package for your situation. Hang in there! I knew lavender essential oil was good for sleep, I used it myself to get some better rest. Although this like it is amazing advice for anyone with an infant! I especially like the bath idea, I might just try that for myself too! I’m pretty sure eucalyptus and peppermint are not safe for babies:children. (Think Vick’s vapor rub issue). It causes them great harm. I’d look that up before using g those oils on my child. Hi. I am new to oils but I wanted to try some to help my 11 month old baby sleep with her bad cold. I wanted to try lavender oil and eucalyptus oil together (I was told I can put the oils onto a used Calpol plug in pad to get it in the air to help her breathe). Do i need to use a carrier oil for that or can I just use the oils themselves if it is not touching her skin? @Laura – Thank you for reading our post! In my personal experience with oils, you would want to use a carrier oil if applying directly to the skin or if you’re using it to spread in the air like with an air diffuser to help preserve and conserve the oils. If you’re dripping a drop or two onto a pad for plugging in, then you would likely not need a carrier oil for this. Again, this is from my personal experience with using pure essential oils with my own children so you may want to run that by your daughter’s healthcare provider as well for their suggestions. I hope this is helpful, Laura, and I thank you for visiting our sleepy little village. Please come back soon! Did you dilute the oils? If so, what was your ratio? @ Sylvia – Yes, I believe you dilute one or two drops (depending on child’s age) in 1-2 Tablespoons of carrier oil. You can always try a greater dilution ration (maybe 1 drop to 2 Tbs oil) and then tweak it depending on how your child responds). Thanks for your question, and best of luck to you and to your family! I absolutely believe that essential oils work. I made a sleep salve for my son and it really helped him to relax and get to sleep faster. I just rubbed some on his feet. It worked so well I gave some to my friend who has a very difficult time sleeping and she was able to stop taking sleep meds because of it. The power of nature is an amazing thing. @ Suzanne – awesome, thanks so much for telling us about your experience! How did you make your sleep salve?